Qatar National Museum is located at the eastern end of the Corniche in a former royal palace. Besides the collection of Islamic relics and artifacts, the museum displays the geological history of Qatar. Offering a visit to former residence of Sheikhs, the museum displays also abundant varieties of fishes in Qatar and a small lagoon where traditional wooden boots are moored. 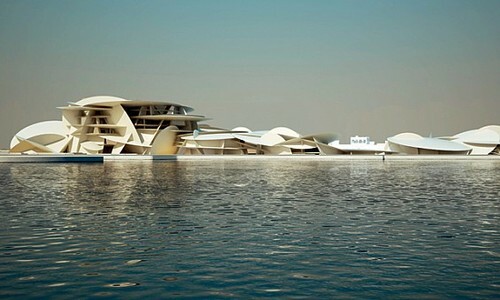 This museum will give voice to Qatar’s heritage whilst celebrating its future. Visitors can learn about Qatar’s ancestors and the formation of early cities, as well the modernization of Qatari society. Exhibitions will combine historic objects and contemporary influences, opening up a dialogue around the impact of rapid change.